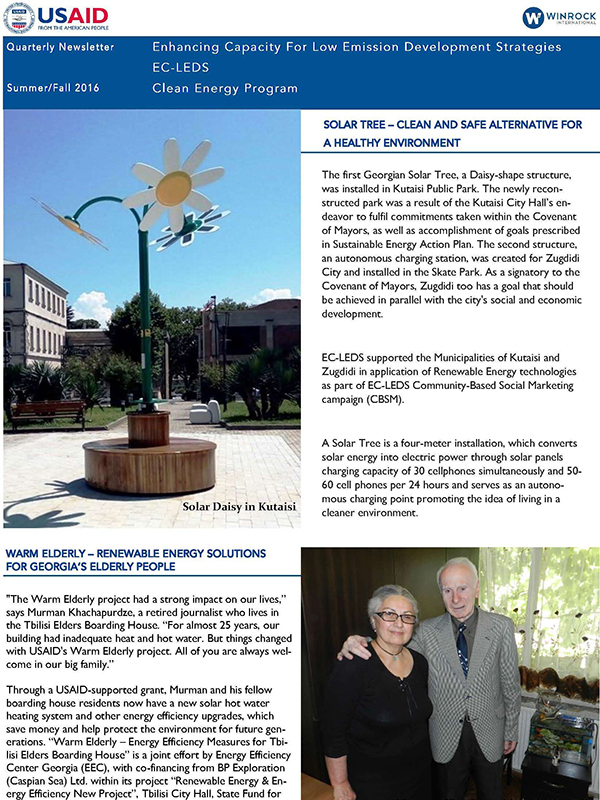 The first Georgian Solar Tree, a Daisy-shape structure, was installed in Kutaisi Public Park. The newly recon-structed park was a result of the Kutaisi City Hall’s en-deavor to fulfil commitments taken within the Covenant of Mayors, as well as accomplishment of goals prescribed in Sustainable Energy Action Plan. The second structure, an autonomous charging station, was created for Zugdidi City and installed in the Skate Park. As a signatory to the Covenant of Mayors, Zugdidi too has a goal that should be achieved in parallel with the city’s social and economic development.